Get Boiled eggs lightyears ahead of the rest! Propel your breakfast to an astronomic level! "One small egg for man, one cool egg cup and toast cutter for mankind." 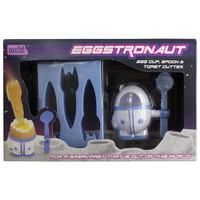 With the Eggstronaut Egg Cup Set you get everything you need for a fun out of this world way to start your day. Consisting of an egg cup, spoon and toast cutter, the atmosphere at your breakfast table will be propelled to an atmospheric level. 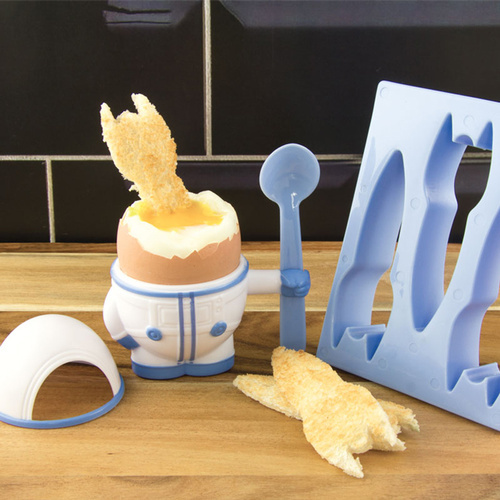 The Rocket Toast Cutter will have you launching your own fleet of rockets and will add a new dimension to your favourite pasttime of egg dunking.